Penelope needlepoint canvas may not be the easiest thing in the world to stitch, but the effects can be stunning. The beauty of a penelope canvas is that the stitcher can use both petit point (small needlepoint stitches) and gros point (large needlepoint stitches) on the same design. For finely detailed areas, a petit point stitch brings out the detail, and for background or large areas, gros point can allow for a speedier finish. 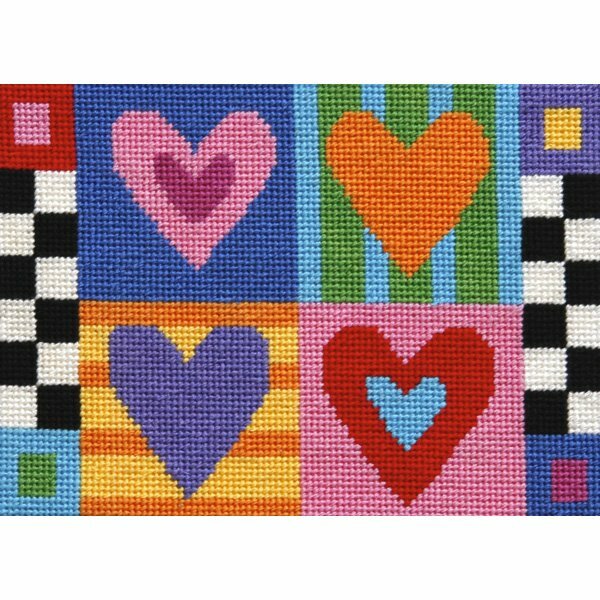 Penelope needlepoint canvas is also called double canvas because it is made up of double threads that intersect. 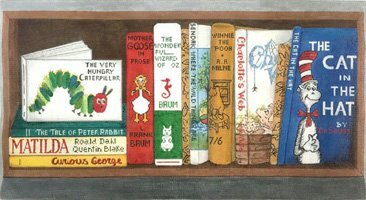 If you only stitch the large holes on the penelope needlepoint canvas, this is called gros point. You might decide to only stitch the large holes when you are working the background and/or other large areas of color that are not the central design feature. If you stitch every hole of the penelope needlepoint canvas, large and small, then this is called petit point and you stitch in the fine detail this way. To do petit point you need to "split" the mesh in order to stitch every single hole, big and small. The best use of a penelope needlepoint canvas is when you use a combination of gros point and petit point, depending on the design area you are stitching. In this photo, the upper stitched area is petit point. The stitches look very small and close together. You can imagine this would work well if you had fine detailing to do. In the lower stitched area, we have done gros point, stitching only the large holes, and it looks like regular needlepoint. As a general rule, it is best to decide ahead of time which design areas of your penelope needlepoint you will stitch in petit point and do these first, filling in with gros point later. The only real downside to a penelope needlepoint canvas is that it tends to distort more than mono canvas. Using stretcher bars will help. You may need to block your needlepoint twice to get it back into shape once it is stitched. 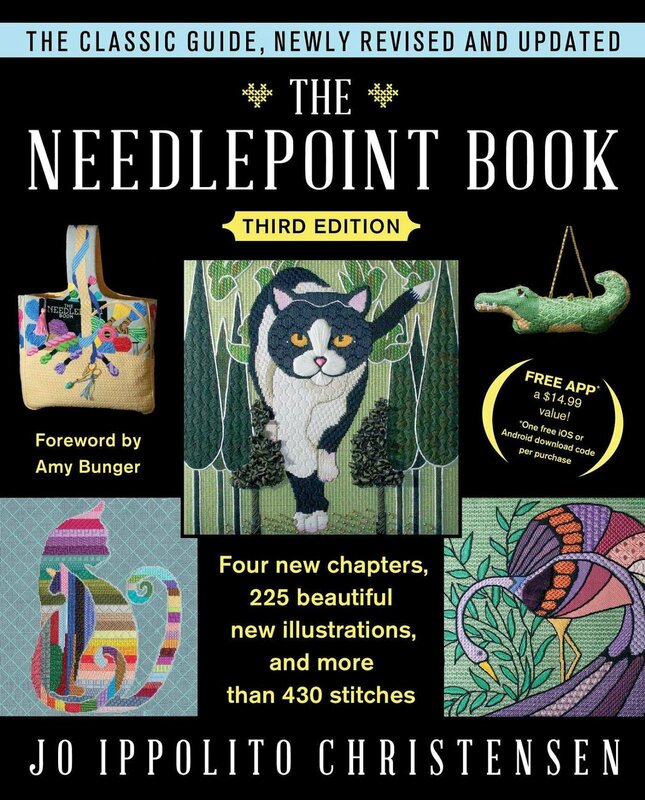 Contact us with questions about penelope needlepoint canvas. 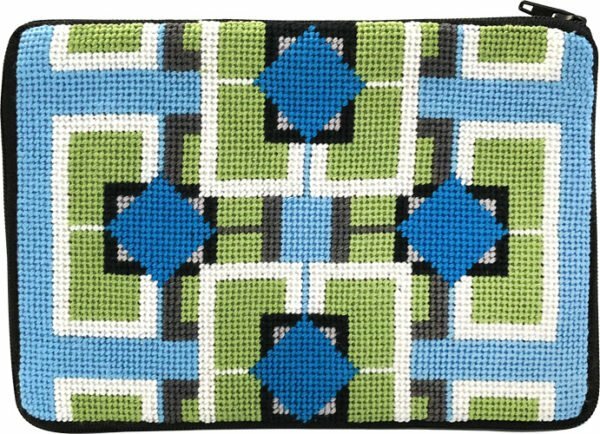 Click the link for penelope needlepoint designs.